The school complex includes two institutions in a deprived area: • A school for girls from pre-school to Year 8. It was founded in 1937 by the Institute of the Sisters of Mary. 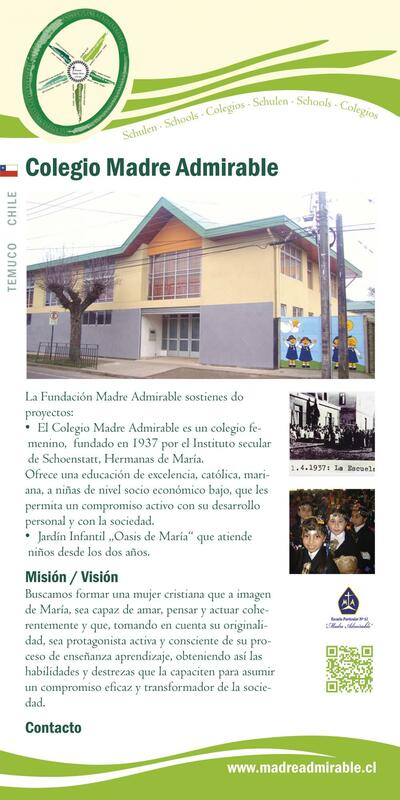 • A Kindergarten, “Oasis of Mary”, for children from the age of 2. We want to form women who are able to live, think and love in harmony with themselves, and to contribute to the transforma- tion of society.